Time flies. 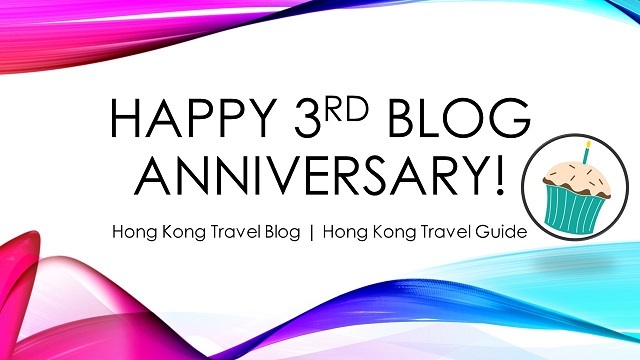 Let me just quickly summarize what Hong Kong Travel Guide achieved in the previous year. 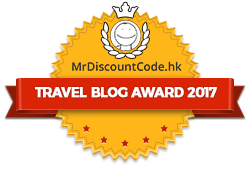 At the beginning of 2017, our blog was nominated for Mr. Discountcode Travel Blog Award as “it shows your (our) great knowledge and passion about Travel”. We received the award and got the badge in June 2017. At the start of 2018, our blog was selected by Feedspot as one of the Top 100 Hong Kong Blogs on the web “for your (our) contribution to this world”. Sounds cool, isn’t it? In addition, the number of fans on HKTG Facebook Page exceeds 100 and is now approaching 300. I know that the figures are just tiny comparing to those of many other travel blogs, but the number does have meaning for us. We hope to attract more new fans and see the number rising, so as on other social media pages. We have also made some progress on guest blogging and affiliate marketing. These tricks have not yet made enough money to pay my bills, though, I am sure they will as I will keep on improving my blog. Thank you very much for visiting my blog. Feel free to send your questions, comments and suggestions to us. Please support us by sharing, liking, subscribing and visiting it. That’s all for now folks, see ya later!